The year 1998 marked the 50th anniversary of the invention of the neutron monitor, a key research tool in the field of space physics and solar-terrestrial relations. 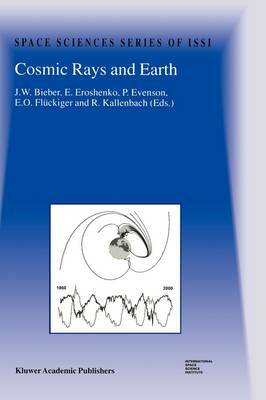 In honor of this occasion a workshop entitled 'Cosmic Rays and Earth' was organized to review the detection of cosmic rays at the surface and in the lower atmosphere of Earth, including the effect that this radiation has on the terrestrial environment. A special focus was the role of neutron monitors in the investigation of this radiation, on the science enabled by the unique dataset of the worldwide network of neutron monitors, and on continuing opportunities to use these data to solve outstanding problems. This book is the principal product of that workshop, integrating the contribu- tions of all participants. Following a general summary of the workshop prepared by the editors, the volume leads off with a keynote article by Professor John Simpson describing his invention of the neutron monitor in 1948 and the early scientific discoveries made with this instrument.